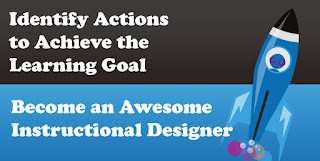 Lesson 4 on how to become an awesome instructional designer. Chapter 1: Solving Problems that Achieve Results. This lesson shares how to identify the actions that need to be trained and focussed on to change behaviours. It's all about being a fly on the wall. Cathy Moore is a great source of inspiration on this and someone we admire and channel through the training solutions we create. We hope this adds value to you and the eLearning solutions you create. We are an eLearning company in Brisbane, Australia, with global clients, which provides end-to-end eLearning solutions including instructional design, graphic design, animation and development. Follow our journey as we learn how to create the best eLearning.